Ocimum Tenuiflorum also known as Ocimum Sanctum is commonly known in India as Tulsi or Holy Basil. In Hindu mythology, Tulsi is known by various names believed to have been conferred upon her by Lord Vishnu himself. 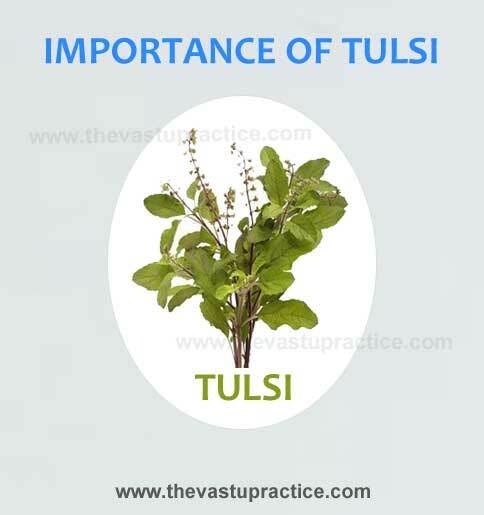 There are several complicated stories in the Puranasexplaining how Tulsi attained such spiritual importance. The Devi Bhaagvat regards Tulsi as a manifestation of Goddess Lakshmi. The one common thread in all the stories is that Tulsi is the beloved of Lord Vishnu. Thus every part of the Tulsi plant is holy. The leaves, flowers, roots, twigs and even the soil in which she grows is holy. The Padma Purana tells us that the soul of a dead person cremated using Tulsi twigs would attain a permanent place in Vishnuloka. Even the worst sinner would be absolved of his sins if he was cremated with Tulsi twigs. Just as all waters become pure by union with Ganga water, all firewood becomes pure by the addition of a small Tulsi twig. A story in the Brahma VaivartaPurana explains how Lord Vishnu, pleased with her penance of thousands of years to get him as a husband, directed Tulsito take a celestial form and travel with him to Vaikunth as his wife. He directed her to convert into a sacred river called Gandaki and her lustrous hair to convert into a plant called Tulsi, to be held superior to all other plants and flowers in the three worlds and even Vaikuntha. Anyone anointed with water which contained Tulsi leaveswould reap the benefits of ablutions in all sacred rivers. He himself in all his incarnations, notably as Lord Krishna, would be pleased with the offer of a single Tulsi leaf. She herself was to be worshipped with the light of a ghee lamp, frankincense, sandal flowers and sacrificial offerings. He honoured her with eight names. To mark this union of Tulsi with Lord Vishnu, TulsiVivah is celebrated on the twelvth day ( dwadashi) of the waxing moon ( shuklapaksha ) during the month of Kartik as per the hindu calendar. In some states it is celebrated for a period of five days ending on the full moon day of the month of Kartik. Tulsivivah marks the beginning of the wedding season.